Blank card, you annoy me least! 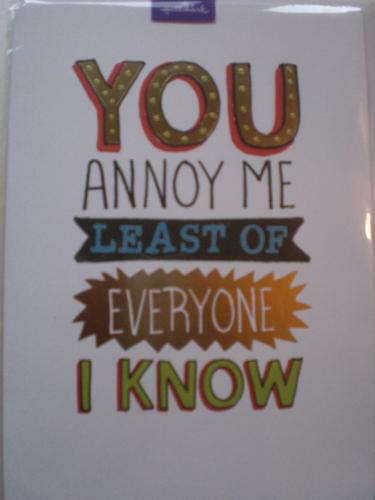 Great humour card for any occasion, you annoy me least of everyone I know! Blank inside for your own message. White background with gold foil detail.